Limetree Park is located on Tamiami Trail (US 41) in Bonita Springs Florida. 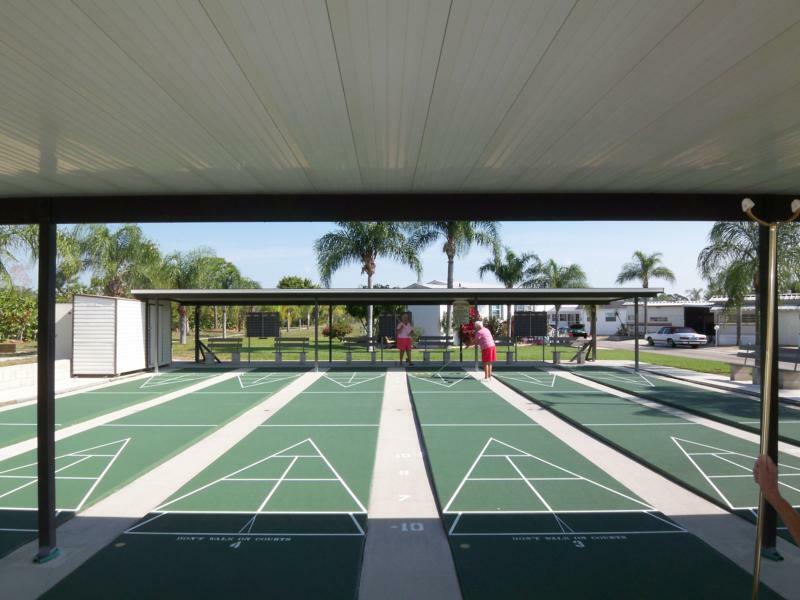 Limetree Park is an active, deed-restricted, gated, manufactured home community that caters exclusively to the 55+ owners. Most of the homeowners are seasonal residents. Limetree Park offers affordable seasonal living in a quiet, established atmosphere. Limetree Park is a relatively small complex with 240 individually owned units and a compliment of common facilities spread over seventeen well maintained acres. The owners elect a Board of Directors to govern the Park while many of the day to day operations are delegated to the Park Manager. The Park finances are sound, reserves are well funded and no debt or assessments are anticipated. Quarterly maintenance fees are maintained at a responsible level. The manufactured homes of Limetree Park are land-owned homesteads. Some home-sites are empty lots, used strictly for seasonal self-contained recreational vehicles. Homes in Limetree Park vary in price depending upon the age of the home, the location of the home in the Park, the number of bedrooms, bathrooms and other factors. A few allow small pets. Limetree Park is conveniently located only 15 minutes to the white sugar sand beaches of Bonita Springs, Lovers Key, and Barefoot Beach along the beautiful Gulf of Mexico. Not too far away (approximately 20-25 minutes) are SW Florida International Airport and Miromar Outlet Mall. The Coconut Point Mall of Estero is about 10 minutes away, as is a large new Bonita Springs Dog Park. Two large Publix grocery stores are each less than a mile away. Within walking or biking distance, near the entrance of Limetree Park, is a great restaurant: The Bonefish Grille (dinner and cocktails). Many other restaurants, shops and a movie theater are but a short walk, bike or drive away. There is also a big Saturday Farmer's Market less than a mile away. Limetree Park celebrates its 36th Anniversary in 2019 and the owners are looking forward to many more years of friendship and activities in our little slice of Paradise!